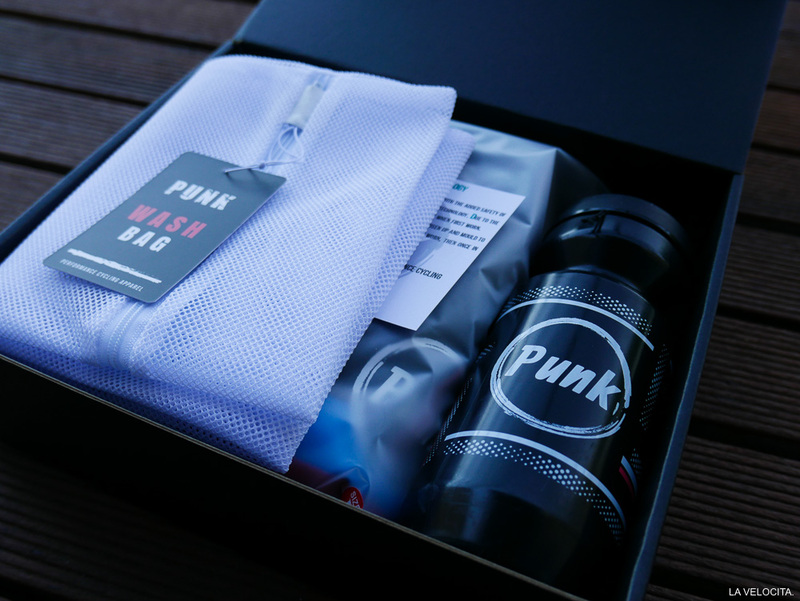 Punk Cycling - Season 1 Review - LA VELOCITA. 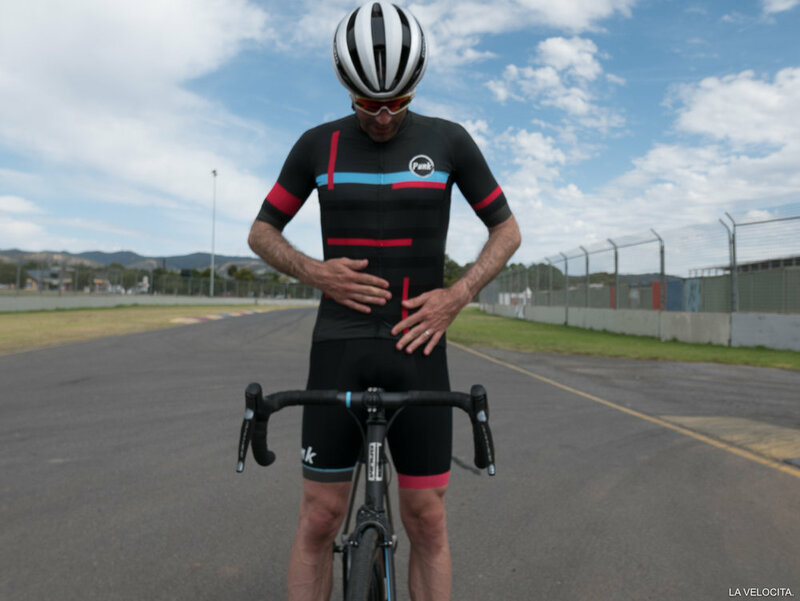 Brand new Aussie brand Punk has launched its first season... promising to be 'premium, limited, exclusive' and 'To develop, design and deliver beautiful, high-quality performance apparel made with sustainable manufacturing practices' we take a look at how Punk S1 stacks up. There's a lot of kit to choose from these days.... the choice is almost limitless. I also think that investing in high quality kit can enhance your experience and level of enjoyment when out on the bike. If you're comfortable on the bike your ride will be better. You'll feel fresher in good fitting kit that moves with you. My rant is almost over, so stay with me. Yesterday I rode 75km in 40+ degree heat in what I can only describe as a poor fitting, sub-standard jersey... on a day that was already uncomfortable enough, I was chafed, felt restricted, breathing was tough and the poor pocket design made getting at my supplies tough. In complete contrast, I instantly felt great when I pulled on Punk's season 1 kit this morning. The stretch, the compression, the arm and leg grippers, long arms, great leg length and nicely sized pockets were all spot on. Out of the box it felt as good and, in parts, better then some of the best kits I've worn.... and heading out on another 40 degree day was 10 times better than my experience the day prior. Short story - buy the best kit you can... and enjoy your riding. So back to Punk. It's clear the guys have worked hard on getting it right. Fabric choices are strong, with Italian made MITI materials. The jersey is constructed using five different fabrics and the bibs using six. Add in Italian made high performance EIT® Endurance multi-density chamois and glass micro-bead highly reflective detailing on the arm and leg ends and you've good all the ingredients of something special. On the bike the Punk kit did not disappoint, it feels premium, the chamois is comfortable. The arms and leg 'power bands' feel secure without creating pressure points and everything just sits in place. On my 40 degree ride I was of course pretty hot, but the Punk kit did not feel uncomfortable. It's one of those kits that you forget you're wearing. Pretty impressive for a first season. On the style side the '01 Grid' we had was understated with nice detail. If you want something a bit more punchy head for the '02 Grid'. If I can point one negative at Punk, it's that you have to order the same size jersey and knicks. I'm ideally a large in knicks (to deal with my long legs) and medium jersey, so had to make the choice to go large and large for both, resulting in a slightly larger jersey that I would hope for. Coming in at $390 before $50 sign up discount it's a brilliant value kit that is banging well above its price point. Would I buy this kit? Yes, definitely. I'm looking forward to what it to come from the Punk Team! This is not a paid review. It's my own thoughts and we don't get kickbacks for sales. We're fully independent.